I have recently been having quite the love affair with Collection (formerly Collection 2000) cosmetics. 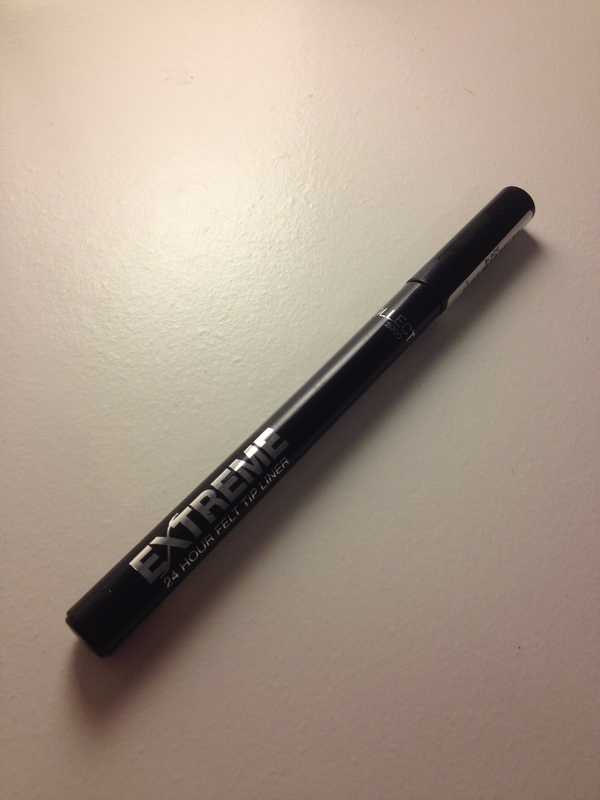 Somewhere between the glittery eyeliners and the Lasting Perfection concealer (which most definitely rivals my beloved Estee Lauder doublewear) I fell irrevocably in love with this bargain brand. 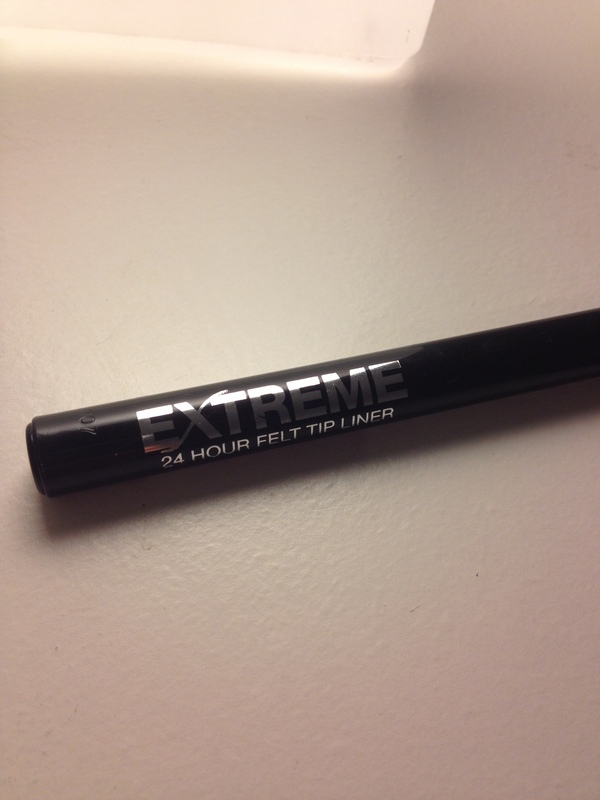 That said it was pure chance that led me to stumble across Collection’s Extreme 24 Hour Felt Tip Liner. 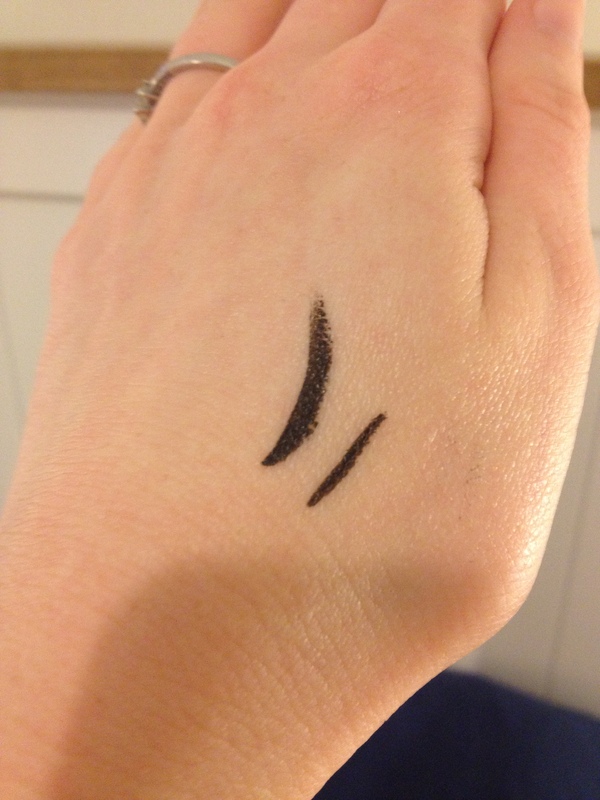 Having squiggled every felt tip liner going on my hand I resigned myself to spending £7 to try one out. I then trudged over to the Collection stand looking for a cheap white eyeliner (I’m loving the doll look right now!) only to discover they had their very own felt tip liner at the bargainous price of £2.99. In fact I was so excited I almost bought all four of them (it comes in Black, Purple, Blue and Teal) but eventually I settled on getting just the black one for now! In terms of packaging, it resembles the sort of felt tip pen you’d find in your pencil case long before Sharpies were around. It’s slim line form makes it ideal for popping into your make up bag and there’s a reassuring click when you put the lid on leaving me feeling confident enough to let it rattle around in the bottom of my beloved Mulberry bag. The nib is your usual paintbrush style giving you the flexibility to create both fine lines and big cat eyed flicks with the turn of a hand. 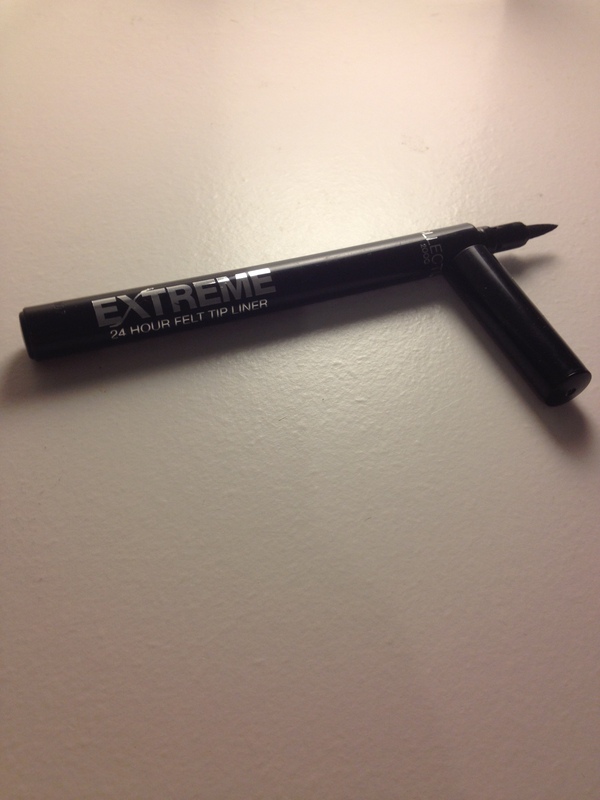 I’m still amazed that such a cheap eyeliner doesn’t create the telltale watery black lines you’d usually expect. 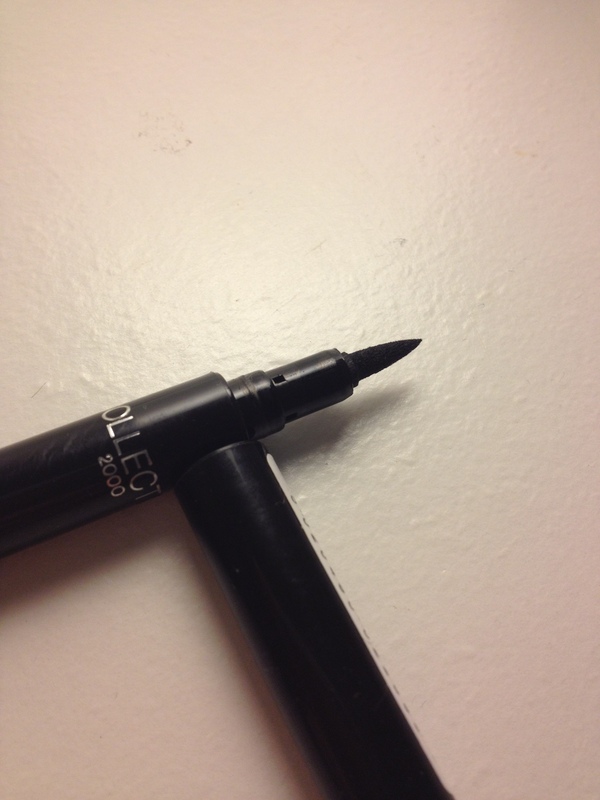 Instead this liner creates a strong fully opaque black line which lasts all day*. *I can’t comment on the 24 hour claim as I’m a bit too old to be pulling all nighters but it easily takes a whole days work in it’s stride without smudging or fading! All in all it’s a great liner at a great price for anyone who fancies trying out a pen style liner. What’s your favourite beauty bargain?